Moving to Mauritius should be an exciting experience and not a catastrophic one with the assistance of professional moving companies. Mauritius does not have an official language because most of the locals are multilingual, with the prevalence of English, French, Creole and Asian languages. This African country has a middle-income diversified economy, which is mostly based on primary sectors like tourism, textiles, sugar and financial services. 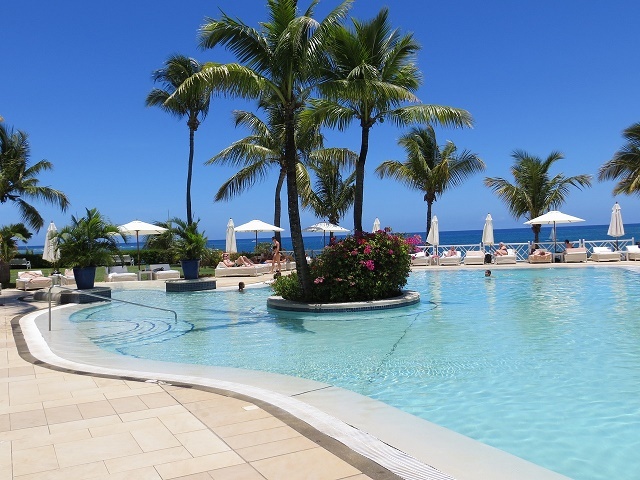 Mauritius has reported a 4.5% drop in tourism revenues in the first quarter of the year, according to Statistics Mauritius. The island state welcomed fewer visitors as fewer people were able to afford long haul luxury destinations. The number of European tourists, who spend millions of dollars in Mauritius, dropped 4.4%. Nevertheless, the Mauritian government is optimistic that tourism will regain its strength as economies recover from a prolonged slowdown. Mauritius has flourished to be one of the most progressive economies in Africa after years of underdevelopment. In 2012, it recorded a gross domestic product (GDP) per capita of $15,591. The economy is fuelled by tourism, textiles, sugar production and financial services. It has one of the world’s largest Exclusive Economic Zones, making it a top destination for foreign investors and workers. A number of top multinational companies have a presence in Mauritius including Barclays, Johnson & Johnson, Microsoft, IBM, HP, Hilton Resort, Ford and Chevrolet. The African nation recently topped the Index of Economic Freedom in the investment freedom category and ranked 8th among the freest economies in the world. Mauritius ranked first among African countries in the World Bank’s Ease of Doing Business survey. In recent years, local and foreign investors infused massive capital into information and communication technology, hospitality, renewable energy and property development. The biggest locally-owned companies include Emtel, Mauritius Telecom, Essar Energy, Phoenix Beverages and the Harel Mallac Group. The cost of living in Mauritius is relatively higher than other African nations. Living expenses in the capital city of Port Louis is nearly 300% more expensive than in Karachi, India. The cost of living in the Indian Ocean Island is also higher than in Thailand, South Africa, India, Romania, and Estonia. However, it is still more affordable than other major international cities such as New York, London, Paris, São Paulo and Dubai. Healthcare in Mauritius is affordable for most expats, especially those from developed economies. The government provides free medical services to all Mauritians and permanent residents, but tourists may need to pay out-of-pocket for their medical needs. Public clinics and hospitals and inexpensive private facilities are numerous across the country. The largest hospitals in Mauritius are the Sir Seewoosagur Ramgoolam National Hospital, AG Jeetoo Hospital and Victoria Hospital. However, many expats prefer Apollo Bramwell Private Hospital in Moka for its cutting-edge medical equipment and top-notch specialists. Expats are strongly advised to secure health coverage before traveling to the country to save on unexpected healthcare expenses. A volcanic island in the middle of the Indian Ocean, Mauritius is known for being one of the best countries in Africa. If being homesick is what most expats feel when they move abroad, then you will be surprised not feeling that at all. You will find yourself surrounded by pristine sea shores and incredible mountain ranges. The community is made up of locals who are always smiling; most of them love to gather on the beach while listening to Sega, their native music all night long. Aside from the breath taking scenic views, you are sure to feel an upbeat and happy vibe with Mauritius' year round sun shiny days. Now, let's get you started. Finding housing abroad is becoming easier nowadays since real estate companies post advertisements online. You can do research even before you arrive in Mauritius to get an idea about the prices in the market. But you get in the country, the best and most convenient way to find a place to live in is to seek help from professional, local realtors. They know the areas very well which would make the search faster. When moving abroad, always assume that the rental cost doesn’t cover everything specially the utilities. In Mauritius’ major cities, the average monthly cost of your essential services (water, electricity and gas) is €50. A minute of local prepaid mobile call is €0.05 while a month of your internet connection is roughly €50. You will find three common types of housing in the country: Villas, apartment buildings and houses. Some are furnished, and some are not, but you have the flexibility to choose between a short term or long term rental agreement. 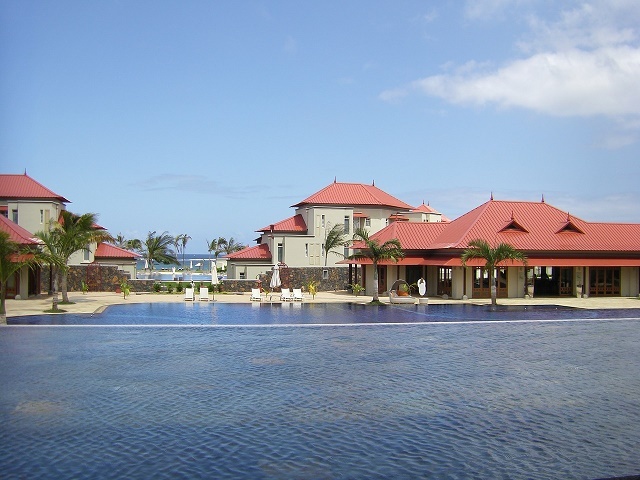 The cost of living in Mauritius is considered to be budget friendly. You can find a decent one bedroom apartment in Port Louis, the city centre, for €400 and a three bedroom unit for €700. You can also try checking out the town of Curepipe which is known for its busy commercial centres and cool weather. A one bedroom apartment can cost €300, and a three bedroom apartment is around €600 per month. The state of Mauritius provides free education for all residents from pre-school to university. The schools are well funded and pride themselves on having excellent facilities for extracurricular activities like tennis, rugby, cricket and ballet. One of the most prominent local school in the country is the University of Mauritius which was founded in 1965. You can also enrol your child in one of the many international schools in the country where the educational programme is ideal for expat students. One of the leading international institutions in Mauritius is the Northfields International School in Labourdonnais village. Even if you are a veryorganised person, the pressure of relocating abroad can sometimes take the best of you. To ensure everything will go smoothly, it is better to contact an experienced shipping and removal company. They provide door to door service where they monitor the whole moving process until your belongings arrive in your new home. The average transit time to Mauritius is up to 20 days, depending on your country of origin. Local customs officers will conduct an inspection in Port Louis where the containers are scheduled to arrive. After clearance, the cargos will then be delivered to your address. If you are going to take your dog or cat with you, make sure that they have proper requirements such as rabies vaccination certificate, import permit, and health Certificate. Also, ask your veterinarian to do a Blood Titer Test to your pet 30 days before import. Documents should be stamped and endorsed by the government from your originating country. There are many things that you will find once you get to Mauritius. One of these, and maybe the most important, is a thriving career under its strong economy without missing out on the exciting things in life. Mauritius is a country highly ranked for its democracy as well as economic and political freedom. It is an amazing nation with multi-ethnic and multicultural communities which explains why most Mauritians can speak French, Creole, English and Asian languages. Starting a brand new life in Mauritius with kids will be a whole lot fun considering that there are tonnes of exciting places to visit. For starters, having a good time in this volcanic island will not be complete without taking a dip at any of the spotless white-sand beaches. Expat parents can allow their kids to explore without worrying about their safety since the beautiful reefs are just about 100 metres away from the shore. Aside from the pristine waters, families can also visit the Sir Seewoosagur Ramgoolam Botanic Garden in Pamplemousse which is a great place to relax while being surrounded by palm trees and a variety of wildflowers. Kids who love marine animals can ride the Blue Safari Submarine which will take them in an underwater exploration while marvelling at the aquatic life. Another top family must-see is the Vanilla Crocodile Park, a lush green jungle that houses not just crocodiles but also other animals such as bats, giant turtles and monkeys. Among the many bore-free activities in Mauritius, the interactive indoor museums such as the Sugar Museum and the Curious Caramel Attraction should be included in every expat parent’s ‘weekend leisure destinations’ list. Roads in this island are narrow but well maintained but newcomers should beware that the locals are the opposite of careful drivers. Buckling up is mandatory for everyone while the car is in motion. When driving in Mauritius, expats must refrain from drinking before getting behind the wheels unless they want to face serious consequences. The speed limit in towns are 40 kilometres per hour, 100 kilometres per hour in highways and 80 kilometres per hour in open roads. Mauritius is a highly diverse country where strong influences from the Dutch, French, Americans, Chinese, Indians and Africans are evident. Diversity is felt in almost every aspect of the society whereas expats will see Catholic churches built next to a mosque while Chinese pagodas stand side by side with Indian temples. Religious freedom is constitutionally guaranteed right is one of the secrets why this beautiful island has peace and harmony among its people. Generally speaking, the Mauritians are quote aloof at first which can be mistaken for being snobbish. They have the tendency to be indirect and polite in most situations whereas they will rather tell you what they think you want to hear instead of embarrassing you with the truth. The Mauritians are also known for being conservative. The local word for a 'taboo' behaviour is ‘sauvaze’ which means savage and is often used to describe a person that is too loud or a woman seen smoking, drinking too much or dressed inappropriately in public. Mauritians are also particular with punctuality. Expats in this country should always be on time regardless if the appointment is a social gathering, a simple dinner at home or a business meeting. When it comes to greeting, the Mauritian kids are raised to greet everyone with a kiss on each cheek just like the France. A simple nod with eye contact or firm shake of hands is an acceptable greeting for adults.